What if you dropped your limitations, allowed yourself to daydream, and considered what’s possible for your life? On the show today, we’re encouraging you to stretch your mind, imagine a world with no limits, and brainstorm what your life could look like if “can’t” weren’t part of your vocabulary. 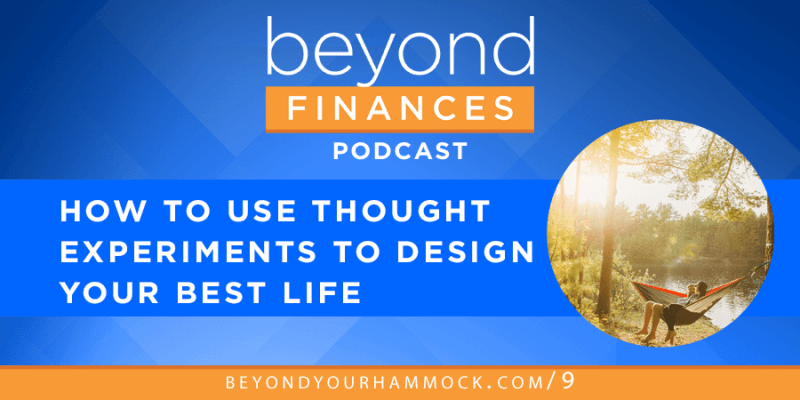 We’re sharing some ideas and structures to use for thought experiments and daydreaming sessions that will help jolt you out of your day-to-day routine and into the realm of what’s possible to build in your life. You can’t get to where you want to be in the future unless you start thinking about where you are now and what changes, tweaks, and actions you need to take in your life to slowly align your vision and dream with reality. We share more about how we do this in our own life and encourage you to expand your thinking — either to think bigger, or just think differently so you can catch more opportunities and see more possibilities. There’s a process to thinking differently, and thinking bigger. It’s important to explore. Question what’s best for your life — then drop your limitations and allow yourself to wonder, could this be possible? Run thought experiments. Don’t be afraid to daydream! Considering the possibilities doesn’t mean you have to run out and immediate ACT or DO or CHANGE. The point is to think and wonder. Too often we get stuck in our day to day routine, and it becomes difficult to look beyond what’s right in front of you. It’s especially hard to see possibilities when things are good — because you’re comfortable! But if you never ask questions, you shut off a lot of opportunities. Test drive things. See what works, and what you really want. And if you don’t know what you really want? That’s okay. The questions are more important than the answers. You can think differently, explore the possibilities, push boundaries — and conclude that your life as it is right now is exactly what you want. But you’ll never know unless you ask. If we don’t proactively think beyond the current reality, we’ll never be in a position to change or innovate or design the life we really want but don’t have yet. Be careful: there’s a fine line between careful consideration and never getting in action to do what you wanna do. There are a lot of levers in life: time, money, work, living situation, habits, etc. You can pull all or any of these to change your situation gradually over time. Start this conversation NOW. There’s a lot that goes into opening your mind, considering the possibilities, planning for what you want, and taking actions to change where needed to go from where you are today to where you want to be in the future. Make small adjustments now to better position your life to what you ideally want. Don’t assume you just KNOW that things are this way, or that way — we want to find out what you don’t know, see more possibilities than what you were already aware of, to consider new things that are available to you. Drop your limitations and don’t come up with all the reasons something doesn’t work. Give yourself permission to brainstorm, or even to dream. The worst thing you can say is “I can’t.” You don’t know until you try, but if you believe you can’t you’ll never be able to succeed. Start somewhere and expand from there. When you expand your mind and stop limiting yourself, the world is yours to enjoy. We’d love to connect with you and continue the conversation! If you have questions or comments, send us an email at team@beyondyourhammock.com. 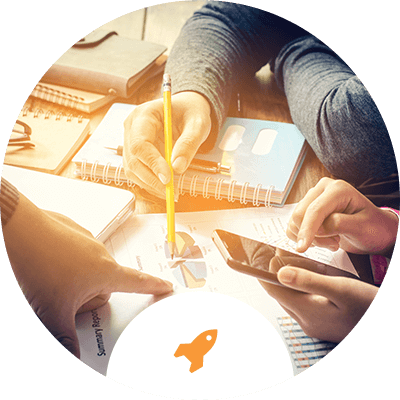 You can even chat with Eric about becoming a financial planning client at BYH by clicking here. And of course, we’d love to hear what you think. Share your feedback by leaving your review on iTunes. It means a lot.